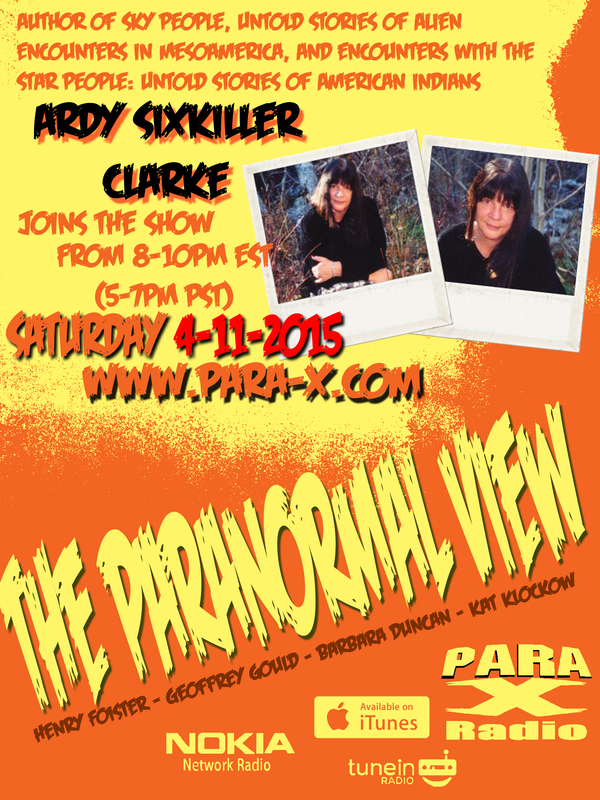 Listen as we welcome author Ardy Sixkiller Clark, we will be talking about her book Encounters with Sky People. It is about Native Americans and their encounters with Aliens and UFO’s. This entry was posted on April 10, 2015 at 4:34 pm and is filed under Aliens/UFO, Ancient Mysteries, Announcements, Cryptozoology, From the Hosts, Ghosts & Hauntings, Listener Feedback, Psychic Phenomena. You can follow any responses to this entry through the RSS 2.0 feed. You can leave a response, or trackback from your own site.